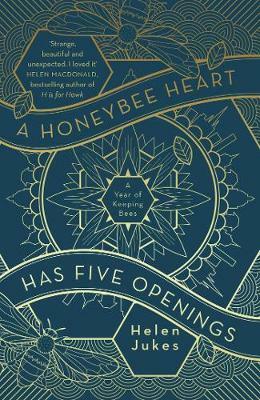 The wonderful Helen Jukes will be discussing her new book A Honeybee Heart Has Five Openings at Oxford University's Museum of Natural History. This beautiful building is the setting for the first chapter so this is sure to be a unique event. A Honeybee Heart Has Five Openings is a fascinating and inspiring account of a novice beekeeper's year of keeping honeybees. With this book Helen has achieved something which has not been done before, to make bee-keeping understandable and interesting to a novice, in the same way very few readers of H is for Hawk were falconers.